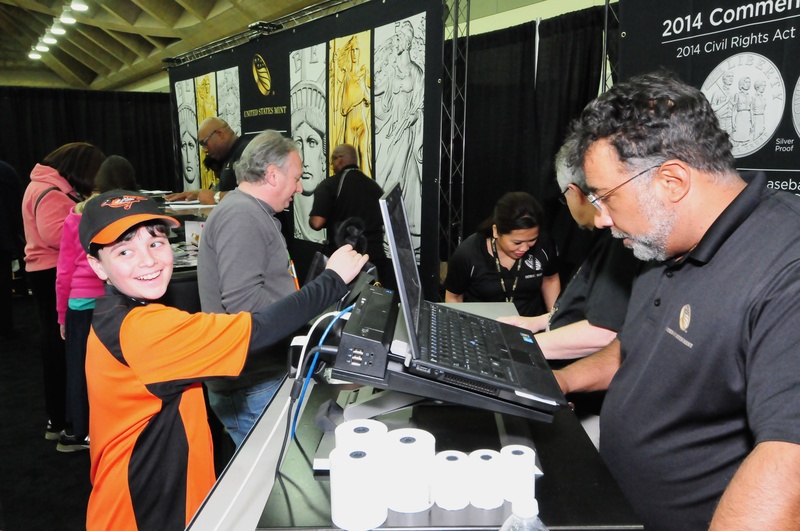 A twelve-year-old Orioles fan was the first purchaser of the U.S. Mint’s National Baseball Hall of Fame Commemorative Coin, when they went on sale today at Noon at the Whitman Coin & Collectibles Baltimore Expo. 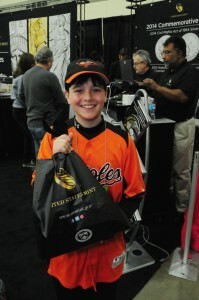 Cole Bank, 12, of Vienna, Virginia took a social studies test before school hours, so he could attend the Expo, buy the commemorative coin (one of each denomination), and meet Orioles legend Brooks Robinson. Bank, accompanied by his parents, was the first of dozens of coin buyers in line when the coins went on sale. 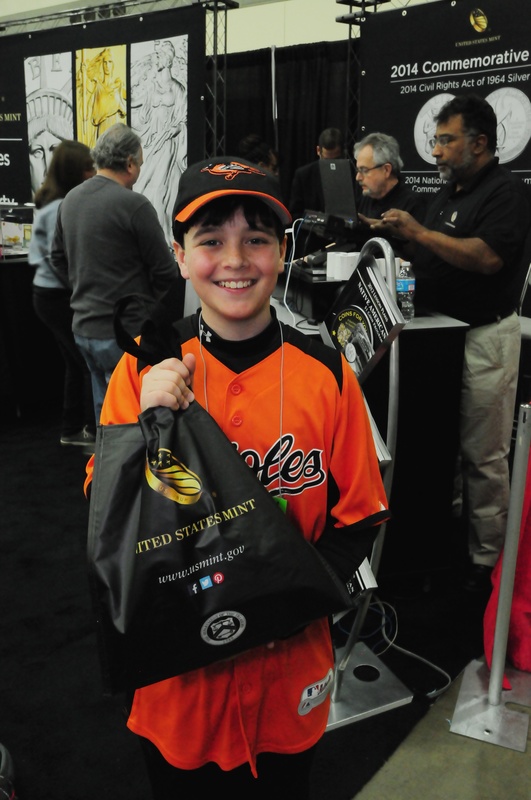 After making his purchase, he was interviewed by Numismatic News and CoinTV, then retired to a quiet spot to do some homework and await the appearance of Hall of Famer Brooks Robinson. Oh, and the test? He made an A+.